Lamb is one and delicious meats, you can cook first and second courses. Lamb soup – the basis of many classic soups, such as kharcho soup, shurpa, beshbarmak etc. Otvarivaya lamb, must follow certain rules to make the broth rich and transparent, and the meat itself is tender and flavorful. To prepare the broth is better to take a lamb on the bones, they will give the broth a rich flavor. Ideal cervical or renal the breast or shoulder blade. If possible, it is better to chop the bones, especially of the brain, tubular. 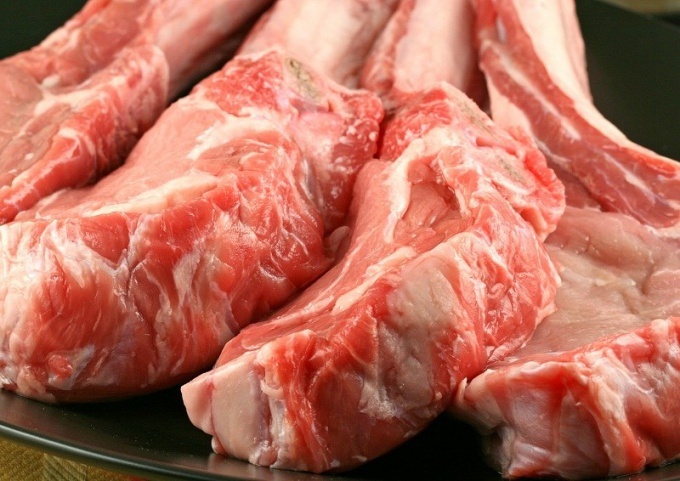 Before cooking the meat should be rinsed and soak in cold water, let stand for half an hour. Put the lamb in a saucepan and add cold water to cover meat, but not more than a finger. Put the saucepan on the stove on a high heat. Not move – the time of boiling should not be missed. Before the water boils, carefully remove the resulting foam. Immediately after boiling, reduce the heat to minimum, add salt to the broth, place the cleaned, but not cut the onion and carrots, cut in half. Cooking time is determined by the age of the lamb. To cook the meat of a young sheep is enough 1.5 hours, the adult sheep being slaughtered at the age of approximately 1 year, will be ready in about 2 hours. For the broth, it is preferable to choose the meat of an adult sheep, because the taste of him more intense, the same turns and broth. 15 minutes before the end of cooking the broth put pepper, Bay leaf. A lot of spices better not to put, so as not to interrupt the natural flavor of the lamb. In the case when you need not so much soup, how delicious boiled meat, it should lay in the already boiling water, but in this case it should not be too much, only that it covers chopped into large pieces meat. Wait until starts boiling, remove the foam, reduce the heat and simmer the meat as well as broth. Most importantly – do not let the water boil, let the lamb cooked on very slow fire with onions and carrots, the broth, you can add a piece of celery root or parsnip. Just before serving, don't forget to put in it Bay leaf and pepper. Boiled meat is served hot, sprinkled with freshly finely chopped parsley. It can also be sprinkled with finely chopped onions, which should be washed in cold water to remove the characteristic onion bitterness and pungency. From spices to the boiled meat is perfect with mustard or horseradish sauce or the classic sauce of fresh tomatoes with garlic. For garnish to boiled lamb, you can make mashed potatoes or boiled rice with spices.